The Celtic Owl offers a doorway to a realm that is very far away, unreachable by any modern means of travel, yet as close to us as our heartbeat. 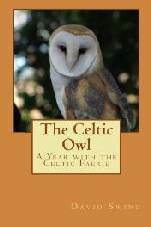 The author, assuming the role of a spirit traveler known as the Celtic Owl, invites you to accompany him into the Faerie lands, where he is himself a frequent visitor. Traveling with him, you will become acquainted with many of the Faire Folke, as you experience a series of journeys and stories focused around each of the ancient Celtic holy days as seen through Celtic Christian eyes. Gnomes in the Garden is filled with tales of the authors’ intriguing encounters with members of the Celtic Faerie tribes. Gnomes, Elves, Sprites, Brownies, Centaurs, Merfolk, Dragons, Tree People, Trolls of the Light . . . These and other Faire Folke share their personal stories, spiritual quests, and adventures, so that you may learn for yourself what daily life is like in the Faerie realms. The Faerie also take this opportunity to present some of their most sacred spiritual teachings. These Celtic Christian teachings shine a new light upon the Holy Grail and its deeper meaning for humanity. Animal spirit guides from the Faerie realm are on hand to provide the reader with step-by-step instructions on how to travel safely within the spirit realms through the art of shamanic journeying. Here you will also find Merlin’s prophecies for the future of Mother Earth, so you may begin to prepare for impending changes that will have a great impact upon your life and the lives of those around you. 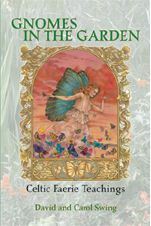 The stories and teachings in Gnomes in the Garden open a gateway for seekers to explore the living world of the Celtic Faerie and walk the enchanted pathways of Tir na n’Og, Land of the Ever-Young. Amazon Europe, Barnes & Noble, AbeBooks, and other booksellers (easiest way to search is using the ISBN numbers shown above).